Wild Travel - The Swimming Pond Company Ltd. Adding a swimming pond to your home will not only give you the opportunity to swim in fresh water without a trace of chemicals, but it will also sustain an array of wildlife. Almost overnight it will become home to water-boatman and be a fresh source of drinking water for birds and mammals alike. 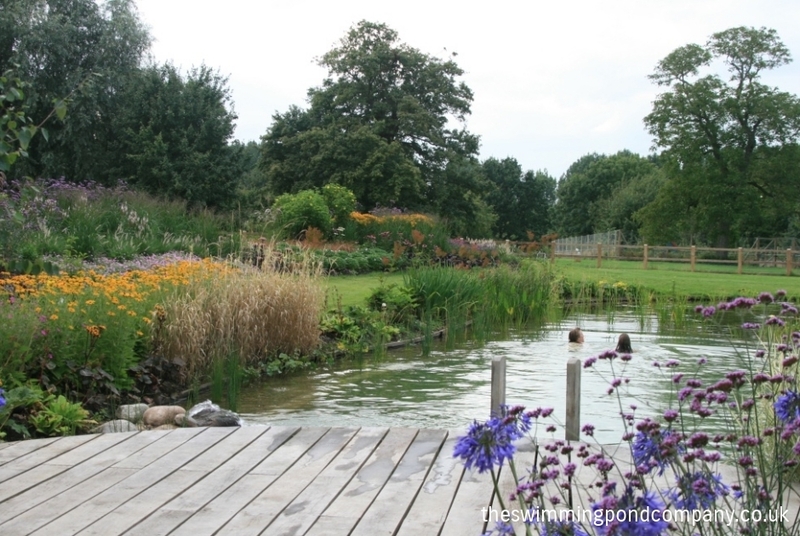 Swimming ponds are wholly inspired by nature and work by circulating water through a filtration bed that is made up of aggregates, aquatic plants, micro organisms and beneficial bacteria. The result is clean and clear water. The swimming pond comprises two equal parts, which are divided by an internal wall that ends about 20cm below the surface of the water. The deeper part is the swimming zone and is free of plants, while the shallower part is called the regeneration zone and is planted with a range of aquatic plants. Although, most wildlife is welcome to a swimming pond, the two exceptions are ducks and fish. Ducks should be discouraged since they foul the water and feed on the aquatic plants and fish because they would reduce the diversity of life within the pond. Also, fish excretion is high in nutrients and in order to create clean water the objective is to keep nutrient levels low. The most significant aspect of the maintenance regime to the swimming pond is carried out in mid to late November, when all the marginal and aquatic plants are cut back. Apart from anything else, swimming in natural water is an extremely effective and pleasant way of easing the stresses of the modern world.